Inventory, cash flow and salaries. Like the IRS—these things never go away and as a florist looking for a small business loan, getting cash for your business is paramount. Unfortunately with over 23,000 florists operating in the United States there is heavy competition for both the cash to grow and for the customers who are looking for your services. With Silver Rock Funding, small business owners like yourself can get the capital they need quickly and securely. Our model allows this process to be simplified for you and we work to find the lender that can get you everything you need safely and efficiently. The process begins when you identify a need and fill out our quick and free application online. From there, our funding managers will work with you to compile all the necessary materials to get approved. Once your application is submitted, you will hear from the lenders within 24 hours and you could have the cash in your account within 72 hours. These small business loans are to help you get your business on hyper drive. One of the most popular forms of financing offered through Silver Rock Funding is a merchant cash advance where you pay back your loan through a portion of your daily credit card receipts. This process gives small businesses like florists the cash they need while not draining their savings. Once you apply for a loan for your florist shop, a dedicated funding manager will work with you to explain all of the options your firm has for funding. . For most small business loans, you will most likely need to provide six months of bank statements and three months of merchant processing statements. 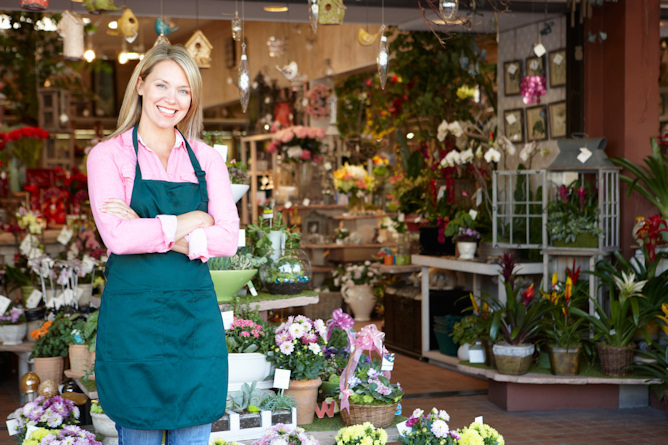 Don’t wait for your florist shop to get the business loan you need from the bank. We will work hard to get you a “yes” and have you making everyone’s day better with flowers--even if you have a bad credit situation. Roses are red and violets are blue. We can help get you small business loans quickly and you know that is true. Get your business the cash it deserves through Silver Rock Funding.